For 30 years I gave up my art. I worked as a secretary those years trying to fit in. My goal was to get married and have someone take care of me. I was depressed and taking cocktails of drugs from psychiatrists to the point I was numb. I stopped seeing the beauty of the world. I basically stopped seeing. As an artist I lost the most important thing which is seeing. The world got smaller and smaller. I was dependent on people to make me feel good about myself. I married but it didn’t help. The only blessing was the gift of my son Dan in 1995. The marriage was bad because of me. I was dishonest and used my husband to rescue me. I’m grateful today that we are able to be friends and I am still part of his family. In 2009 God released me from my 19 year job as a legal secretary. The economic crisis led to my firm downsizing. Still looking to find a secretary job I found myself in a Debtors Anonymous meeting (DA). I was anxious about finding a job and making money. But I met a wonderful young man who brought me back to my true self. I was directed to start becoming the artist I was meant to be. He told me to do what artists do…paint every day. When I would tell him I needed to make money he would say I need to bring my art out. He was the miracle teacher in my life. Last year I took early retirement after again trying to make money because I still couldn’t support myself with my art. It was an under earning job. I couldn’t meet my basic needs. I missed a month rent. My landlord decided to sell the apartment. I lost the temp job. I had no job and no home. I was able to get a financial gift to help me get an apartment. I left and moved to Riverdale in the Bronx. Riverdale is God’s country. It is near the Hudson River where the Hudson River painters painted beautiful scenic landscapes. I am surrounded by nature. I am 10 minutes from beautiful Wave Hill which is a public garden with views of the Hudson. I painted there recently. I’m getting recognition for my art in Riverdale. The Riverdale Press had a picture of one of my paintings in their paper. I won first prize in a juried art show. Now I discovered how to make a living with my art. 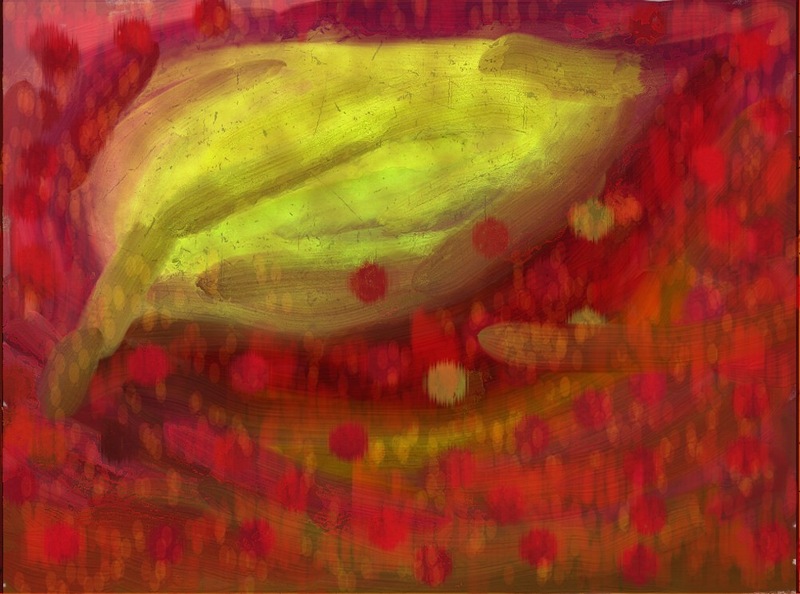 I am developing a business teaching iPad painting to seniors. I have promoted myself and now a newscaster from a tv station is going to do a story on it. Yesterday I got an email that a Bronx neighborhood paper wants to do a story on it. The moral of this story is you never know when you will be successful with your art. I’m 64 years old and I feel like I’m doing this better than I would have in my twenties. I’m not famous making millions of dollars. But my mission to get people to create art and experience joy is starting to click. People are listening to my message. I am being heard and it is because I am offering value to people.